Charlie Lee, via twitter, announced that the Litecoin foundation has plans of implementing confidential transactions on the network to make LTC more fungible. He stated that fungibility was the only feature missing from both Litecoin and Bitcoin. The tweet making the announcement can be found below. The addition of Confidential transactions will be implemented sometime this year through a full node implementation (soft fork). Confidential transactions obfuscate the amounts being transacted over the network but not where the coins are being sent. 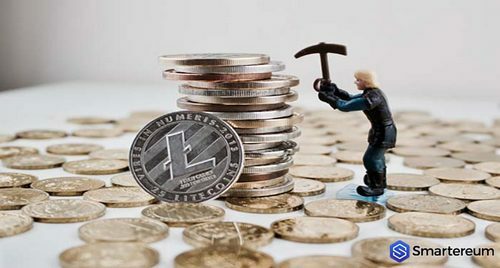 The team at the Litecoin foundation further explained how Confidential Transactions (CT) will work on the LTC network. While it’s not complete privacy, when spending coins parties no longer would have insights into how much the other owns, something very valuable for individual security as well as business operations. CT is an optional parameter in transactions which means regulated bodies would still be able to deal in the asset so long as transactions made to and from them are clear and publicly viewable on the blockchain. What are your thoughts on the LTC soon having confidential transactions? Will Bitcoin also adopt such a feature since Litecoin is usually the first to adopt new blockchain technology such as the Lightning network? Please let us know in the comment section below. Next Article PrimeXBT launches, Is the new 100x leverage, Bitcoin trading platform worth such hype?